See in 2019 South American Style! 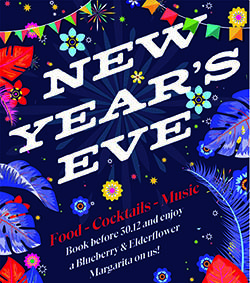 Join us at Bodega for NYE and let us help you start the new year with a bang! We’ll be serving our entire menu, so come in and choose what you want, no restrictions here people! Oh, and just to help sweeten the deal, it’ll also be ALL NIGHT HAPPY HOUR! Can't have a party in December? Do it in Jan! If, like us, your December is not one of enjoying parties more hosting them, then you’ll need a party awaiting you in Jan’19! a round of cocktails when you book a Christmas dinner in Jan! Join our talented bartenders as they take you through various cocktails from a range of different spirits including the much loved Margarita and the classic caipirinha. We’ll give you a fascinating intro to the wonderful world of cocktail making, arming you with the tools to impress your friends at home during this fun and interactive session. Then its time to get behind the bar to mix and shake the drinks for you to enjoy! 30 – enjoy the atmosphere if the venue whilst tucking into a sit-down meal or enjoying a buffet. This space is free to hire and perfect for a stress-free festive get-together! 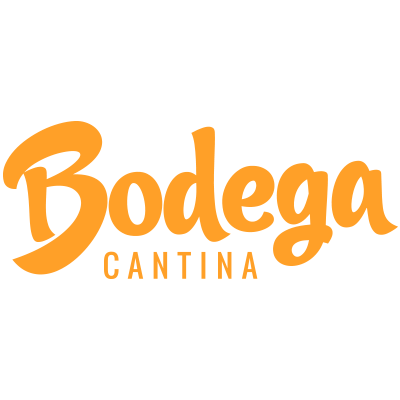 There are currently no upcoming events for Bodega Cantina – Sutton.